I’m only giving it 3 stars because it doesn’t have an entry code to keep snoopers out. It’s always open. I do like it’s auto save abilities. Please add more cool stuff!! I want to be able to search for the word, say "waterfall" and it show me photos pertaining to that subject. Not being able to drag and select photos is... Well...a drag. AWESOME! ABSOLUTELY MOST USER FRIENDLY! I have tried many apps but Degoo has been the most user friendly app for anyone and everyone who is new to this. The app practically guides you to do whatever it is that you need to do. 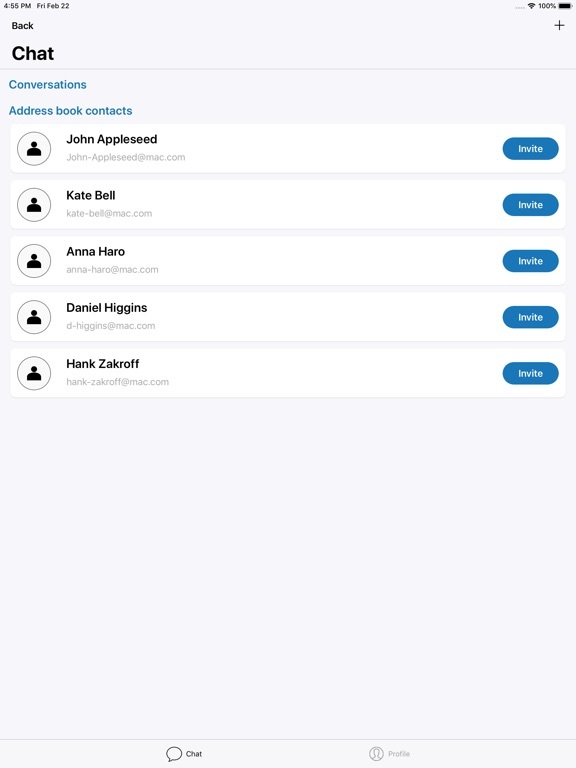 One more aspect of the app is rewarding you with more space for referring other users. 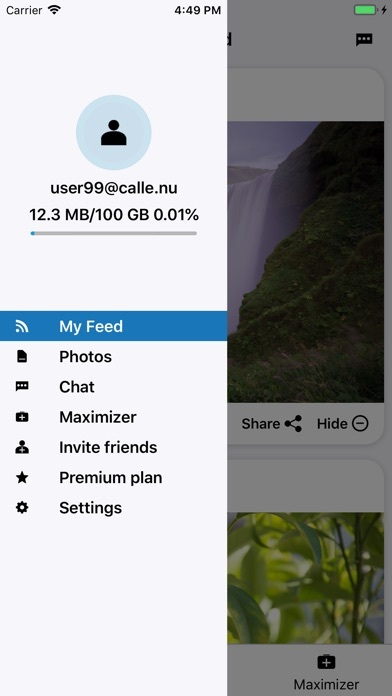 But frankly even if there was no reward I would refer people I know to use the app because if you have Degoo any device you buy does not have to have much Internal Storage, all they would need is a good internet connection and of course a Degoo app. Thanks to all the developers of this app for such an awesome app. All my photos over 1000+ are gone completely, disappointed. Crashes and doesn’t allow anything to work as it should. What’s the point if now it can’t be edited or shared? (Facepalm) Hope all the bugs get fixed soon, I really liked this app. A NO nonsense app with NO HIDDEN Charges. I really wish I had found this service before I found all these Fly By Night money grubbing Developers no one has ever heard of. The pluses to this service is that they are always giving FREE extra cloud ☁️ Storage. 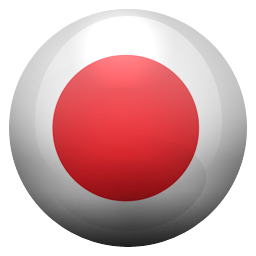 The possibility’s of this Great App Are only limited by your own imagination. This app was truly a hidden GEM 💎 for me . 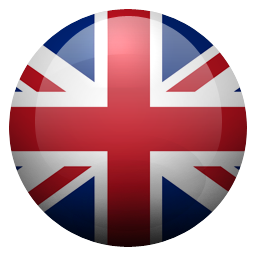 ‘The App Works Great With ALL My Apple And Android Devices IPhone 📱 8 Plus IPhone 7 Plus And My Samsung Note5 Android I am so happy that they also offer a android version to which I have too. To the developers KEEP UpThe Awesome 👏 Work.Thanks again. Very generous storage site. Free! No harm to use, but it probably doesn’t have many features as as the paid site. Can’t complain. I have around 1200 pictures and it only uploads when I’m on the app. But, has all photos here and works well. After using the android app, the iPhone app has so much lacking. 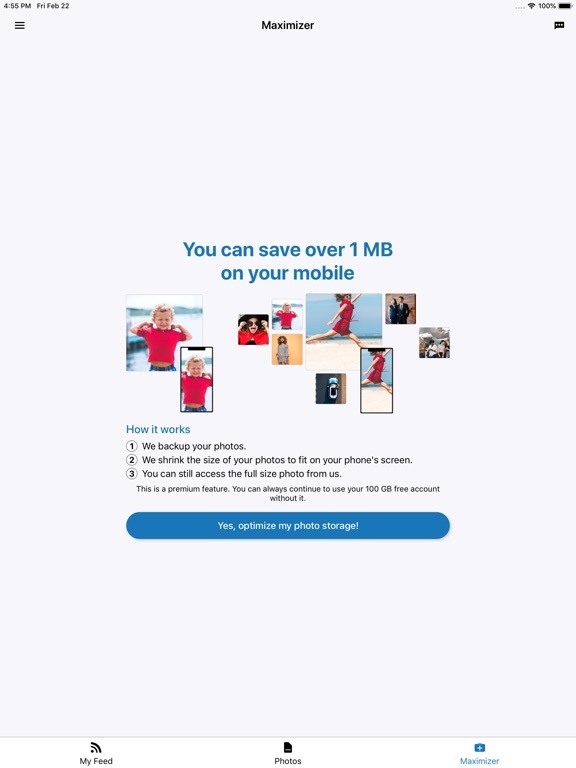 Unable to view other device uploads or storage size consumed are major downsides. 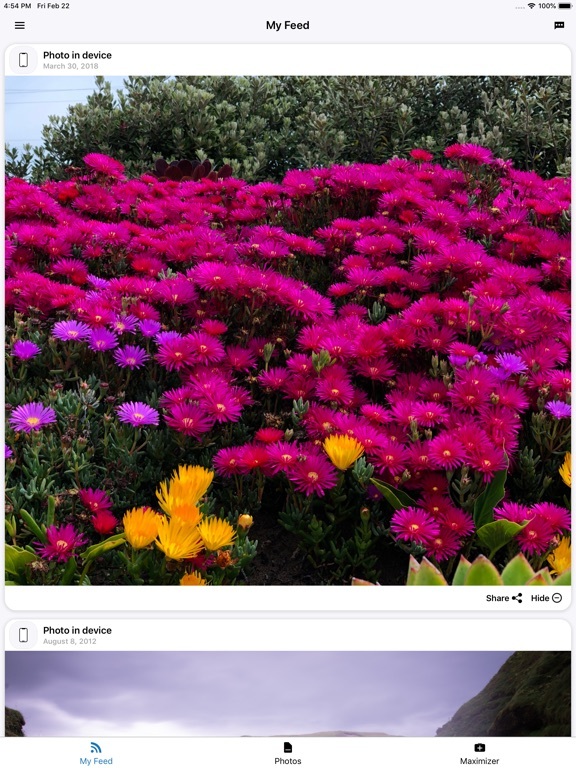 Hope Degoo updates the iPhone and desktop apps to be on par with the android one. If you don’t use the acc in 1 year you will lose everything. I lost my baby pics and lots of memories... I’m very sad, I’m crying all day for loosing it! It’s take much time to upload photos and sometimes not upload the photos. Also I can’t delete unimportant photos in once by select. ...but I can’t retrieve photos back onto my device! It dosnt delete pictures.. I have so many unwanted and duplicates pictures. Unfortunately, I only seem to be able to access photos that were backed up from the device I’m using to access the app. 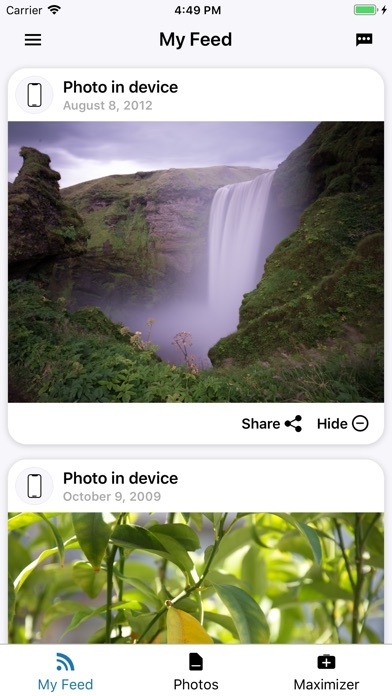 It says my photos from the other device are backed up, but I can’t even see thumbnails, let alone the photos. The Android app has also stopped working; it looks like it minimizes as soon as it opens, and can’t be accessed with the “open apps” tray, even though there is a tab for it. There’s also not a convenient way to get support or offer feedback for the app. Fatal flaw for people with newer iPhones! 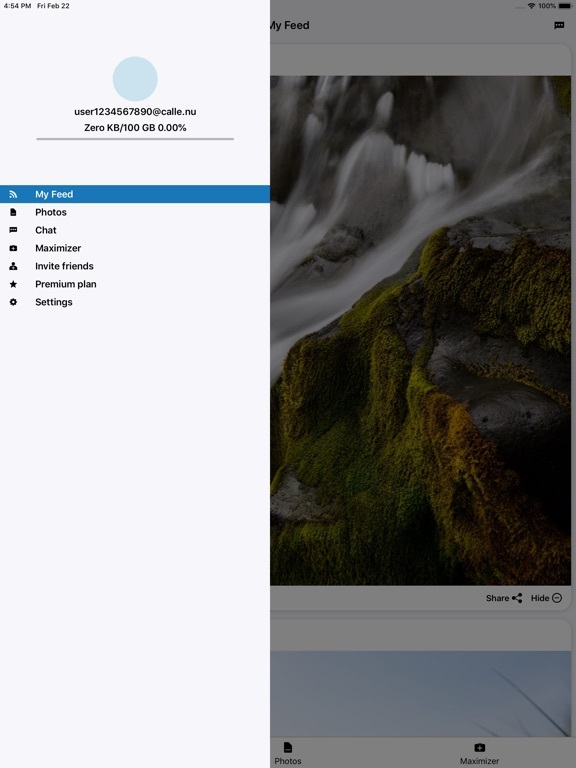 As a premium customer, I was really happy with the cloud space I have until I noticed that When Degoo backs up my photos it backs them up without the video clips made for the live photos. So when you download your live photos they will only be regular photos without the clips!!!!! Also, this app lacks literally 10s of features compared to the android app. And the pc app is useless and so slow. Please fix it.. Simple and fast service that requires very little effort. There’s a bug that closes me out of the app whenever I tap on a picture. Plus, how do you delete pictures from the cloud? 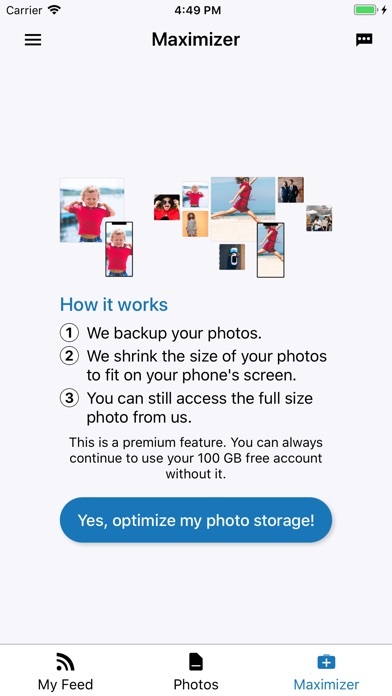 This handy app is the back-up, back-up that backs-up the backups for all my cloud drive images (iCloud, Drive, OneDrive, Dropbox, etc) and it does it automatically for nuttin’, nada, zip! Does it get better ‘n dat? I...Don’t...Think...so!! I only have 5 gigs of photos/videos and it doesn’t even attempt to download them. Must be a bug in the program, yeah I don’t want that to be the case when accessing my photos. 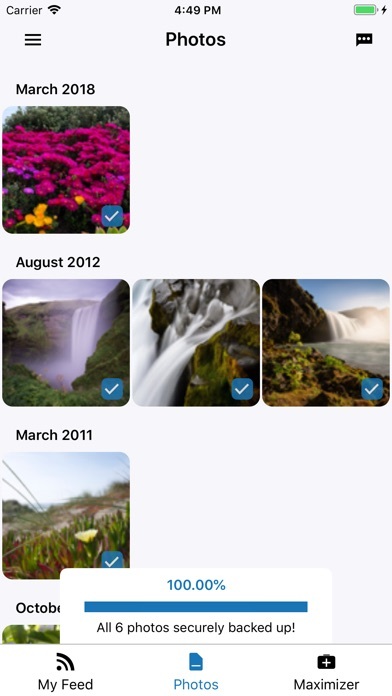 There is no option to delete uploaded pictures.But the app is great you will enjoyed the app. But i wish there might a option to delete pictures. 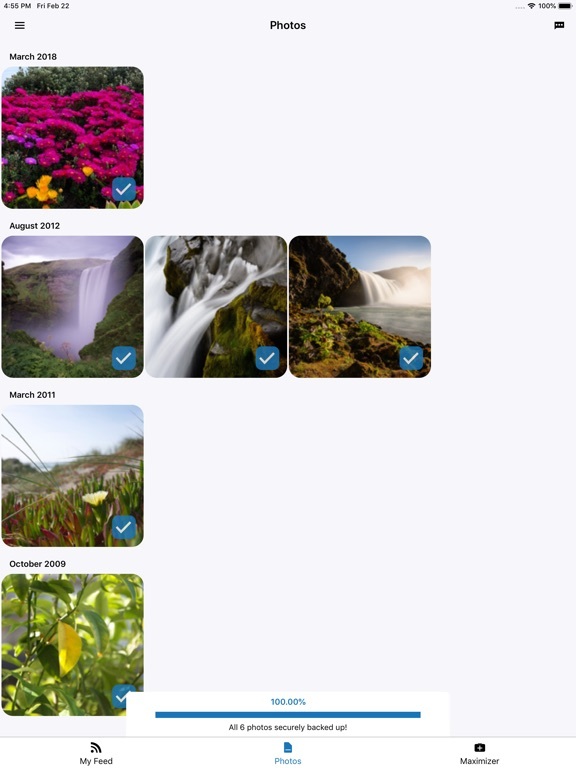 Degoo iPhone app does not provide option to delete a picture from degoo cloud. Please add this option on a future app update. I’ve been using this app for quite some time without issues. Just had to get an iPhone to work with my hearing aids and now can’t access anything but pics. Now it’s just using a ton of space without any return. Uninstalled! App will not download 100% of my pictures. Continues to stall for some reason. How do u delete pics? I did a backup of my pics, on my iPhone. It only shows me three out of about three months worth of photos. Is there any way I can recover my photos???? I am very pleased with Degoo - frees up a lot of space on my phone! Painfully slow to upload. Would be nice if this could be done in the background. Does just as advertised. Been searching for such an app and finally found it. 100 Gigabits of storage for free. You can get an additional 1 Gigabit more space for just watching an ad and keep repeating until you get the amount of data you need. A great cloud based app. 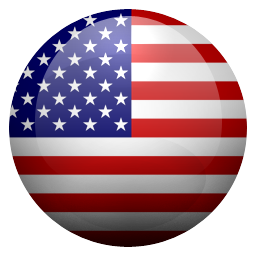 It works on Apple,Android,and PC’s You can even see your other devices data on the one your presently using. One word describes this app best. OUTSTANDING!!! Please advice me how to delete my pic which i dont want. Uploading over and over, never get done. It backups the same photo again and again with duplicate. There is photo already backed up and then it backups them again. Please fix this issue. Or am I the only one facing it. Good Space Allowance but slow uploads! I need to delete some pictures and the App doesn’t seem to have that feature. They require you to first give photo access permission before entering app. I guess they hate business and hate money. I personally like to first explore the settings of these apps. And purchase in app purchases before I am forced to hand over my data to their totalitarian dictator view of a developer. Hell. I’d be willing to spend a grand on an app if I could first utilize and explore before being forced to hand over permissions. What if I wanted to subscribe simply to support their company and not actually use the service. I’ve done that with Amazon drive. I’ve supported it for 2 years. And have yet to even upload a single bit of data to them. Simply because I like their company. Too bad I can’t support this company because they have the worst design ever and prefer dictator lifestyles over money. Oh well. It got to 98.99%, then has stayed there for hours. I’ve checked and have good upload speed. What gives? How to use this app. How do you use this app. I am using this program on my computer. Way too slow. Taking days to upload my files and eating up all my computer memory. I wanted this to act as a back up to the whole phone, pics , apps, and other stuff. All this is a photo back up. Not what was pictured in all those nice little photos they show of SOMEONE ELSES operating platform. The user interface is no where near that. Can’t say enough how much this app has improved storage. Easy and reliable. We need the setting option please!! I’m so glad with this amazing app, it’s matching my needs for cloud capacity and also it’s so easy to mange. I advice every one to have an account on degoo 100GB. Price, space, speed every is good. Hope apps and pc software inquire more function and stability in near future. After update all uploaded videos now show up in red pic only what’s going on?? If all you want to do is back up pictures this dos work . I am not able to back up any files on my iPhone or iPad since I paid for the premium version . Porq en mi iPhone no puedo guardar videos en la nube? So far, so good. An instruction manuel would be super helpful! I would really like to know if i could upload a file for use on the road... If possible and hoe to do that! I was resetting my iPhone 6 Plus and I backed up all of my photos to this app. After I reset it, All my photos were there. Then, when I come back to the app about a week later on another device, ABOUT 8/10 OF MY PHOTOS WERE GONE! 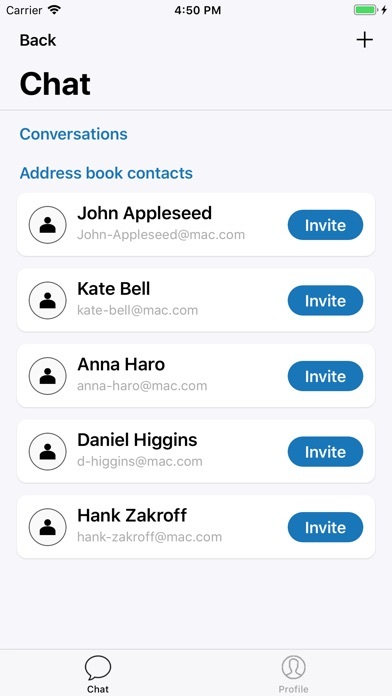 Degoo is a good idea missing many essential features to be a viable backup candidate on iOS. Missing from the list of features are: - Inability to delete photos /files (on any platform) - Inability to backup files on iOS - Inability to view files (not photos) backed up on other device from iOS - Inability to pause backup process - Slow backup and download times - Limited support response Fix the things user are wanting and you will attract more paying customers. İ can nıt delete any video or photo. Any one csn help me ? I’ve always used Google Drive, but 15GB compared to 100GB! The best part is if you share it with friends you can get up to 610GB, with no pay! Best cloud storage app I’ve seen so far. Should have the option to delete backed up stuff from the app. I like hat fact that it is a backup app but with that in mind it should allow some sort of folder creation or management. It should give you the power to create/delete folders for organizational purposes. It should allow backup of other files. I have emailed twice to ask how do I delete a photo and no one will respond. It does store photos and it does store 100 GB of them, but it's practically impossible to get to those photos as the app loads so incredibly slow.